I’VE DONE IT! 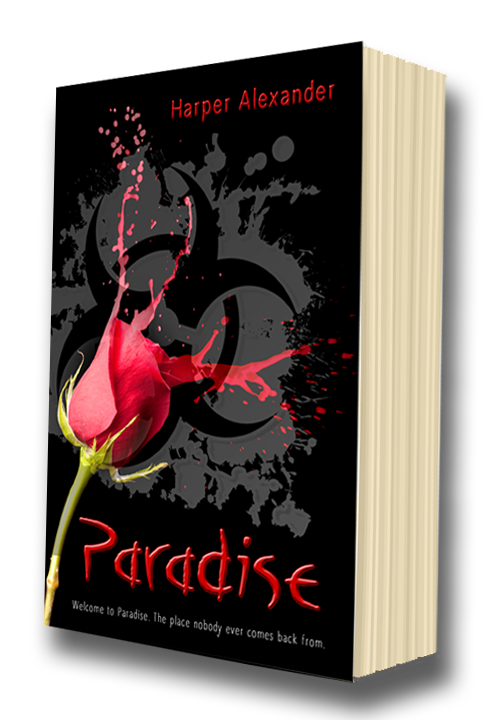 Paradise is officially, OFFICIALLY complete, and ready to be re-released for the last time – professionally edited, tediously polished, and wrapped up in a nice tidy bow of OFFICIALISM. This is it, guys. The most official one of my books has ever gotten. I decided this was the year I was going to get serious about this writing stuff, and in only the second month of the year, I have followed through with that resolution. I could not be more excited or proud of myself! Totally cool, right? I can’t wait to hold a copy in my hands! I hope you’ll pick up a copy of your own and join me for an adventure in Paradise – I have some great things planned for this series! Categories: Books, My Books, Writing | Tags: author, book, books, creative, Deadly Lush, fiction, indie, Paradise, release, write, writer, writing, young adult | Permalink. Today I was reading a bit more of The Night Circus, when I closed the cover and was delighted by the sight you see above. I hardly ever paint my nails, and while I wear rings now and then (they are my favorite piece of jewelry), I tend to get irritated with how much they get in the way of functioning and I don’t end up wearing them as often as I’d like to if style were the only factor. So I was quite tickled to find I’d randomly done my nails (while waiting on my silly ancient computer to snap out of its ‘Not Responding’ vacation) and put on a ring that matched the color scheme of the cover perfectly. I had to snap keepsake pic. In other news, the re-release of Paradise is right around the corner on the 29th, and I still have two scenes to edit. Every single time I sit down to edit them, something else waltzes in and distracts me. And not just frivolous distractions, but actual events that prevent me from editing. I’m feeling a bit cursed, but am determined to get at least one of the remaining scenes edited tonight. Worst case scenario – I’m going to take Friday off work in order to finish, so I can format everything Saturday and get all the files submitted no later than Saturday night, which does still give me a day’s leeway. Categories: My Books, Reading, Writing | Tags: author, book, books, creative, fantasy, fiction, indie, reading, release, The Night Circus, writer, writing | Permalink.